Hypnotherapy can help with so many everyday social, emotional and psychological issues. 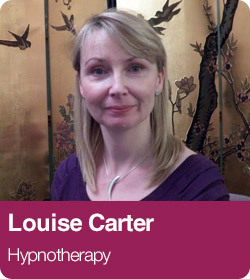 When administered by a professionally trained hypnotherapist the experience is relaxing and completely safe. So much is lodged in the subconscious which effects how we respond to the world, yet most of us rarely access it. A professional hypnotherapist gives you a key to enter your subconscious and start to become its master rather than its slave. Hypnotherapy aims to change the kind of automatic negative responses to situations we sometimes acquire to positive ones. That way your day to day life may well be more fulfilling, enjoyable and manageable. In a session at the clinic you will be helped into a state of hypnosis by the therapist. There is nothing strange or mystic about the process, it is simply a natural state of deep relaxation and you are in control at all times. Whilst you are in this relaxed state your hypnotherapist will make suggestions that could help you deal with the issues that are concerning you. Because of your restful and receptive state of mind there can be a very positive result from this kind of therapy. There are many, many conditions that hypnotherapy can help with – from bad habits to aiding fertility. In fact the list is endless, so if you’d like to talk things over with our hypnotherapist why not give the clinic a call to see whether this kind of therapy might benefit your particular situation.